Almost all Floridians slip and fall from time to time. Typically, these incidents involve little or no injury. But that’s not always the case, as roughly eight million Americans are rushed to an emergency room every year because of a slip-and-fall. These victims often face substantial medical bills. In addition to the costs of both emergency treatment to set broken bones and address other injuries, there are often physical rehabilitation costs as well. There are a number of reasons that falls affect people differently. Many serious injury fall victims are over 65. A majority of these individuals never fully recover, placing them at risk for a repeat fall and making nursing home care almost inevitable. Other victims have pre-existing injuries that the fall aggravates. In cases like these, the eggshell skull rule applies, entitling these victims to full compensation under the law. Like most other states, courts in the Sunshine State use a variation of the venerable common-law classification system to assign duty to landowners. At first, the categories are rather difficult to understand. However, just a little analysis usually clears up all the confusion. Invitee: If the victim had permission to be on the land and the owner obtained a benefit from that presence, the victim is an invitee. The permission could be express or implied and the benefit could be commercial or noneconomic. In these situations, the owner has a duty to inspect the premises and make them reasonably safe for invitees. Licensee: Sometimes, the person has permission to be on the land but does not convey a benefit to the owner. Guests of hotel guests are invitees as are people who walk across store parking lots to get from one place to another. Landowners must warn licensees about latent (hidden) defects. Trespasser: If the victim did not have permission and the owner received no benefit, the owner has no duty in a negligence sense. The stories of injured burglars who sue homeowners are basically urban legends. Falls may occur because of both obvious and latent defects. For example, a wet spot on the floor is probably an obvious defect, while a slight surface variation is probably a latent defect. To obtain compensation for economic damages, such as medical bills, and noneconomic damages, such as pain and suffering, victims must establish that the owners knew about the dangerous condition. Sometimes, direct evidence is available. These “smoking guns” include things like restroom cleaning reports, parts receipts, and other such documents. Attorneys usually uncover this evidence during the discovery process. But in most cases, victims must rely on circumstantial evidence. Some Florida courts call this doctrine the time-notice rule. Essentially, the longer the hazard existed, the more likely it is that the owner had constructive knowledge (should have known) about it. Typically, mere proximity is not enough. Just because an employee was close to the hazard does not automatically mean that the owner had a legal duty to the victim. 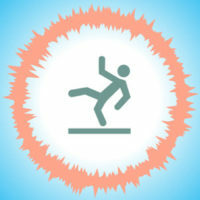 Far too often, slip-and-falls lead to serious injury. For a free consultation with an experienced personal injury lawyer in Brandon, contact Reed & Reed. We have four area offices (St. Petersburg, Lakeland, Tampa, and Clearwater).